Posted in: Uncategorized. Tagged: 1995, curse of the mummy, Dorset, Fighting Fantasy, Heaven for everyone, Jonathan Green, Made In Heaven, Queen, west bay. 1995. Can’t believe it was 20 years ago. I remember it vividly for several reasons. Mother had sold the house I grew up in the year before and the money had come through. Oddly enough she gave me a small amount and treat us to a weeks holiday in West Bay, Dorset. Needless to say there were unwritten terms and conditions like she wanted the money back, oh and a contribution towards the holiday she had ‘treat’ us to. My flat had got burgled, and all the things I owned that got me by had been taken. Talked about taking it bad. I got seriously pissed on cider and red wine that night, and also started smoking as a result. I passed out at Val Roses house and spent the night on her sofa. Boy did I vomit the next day. 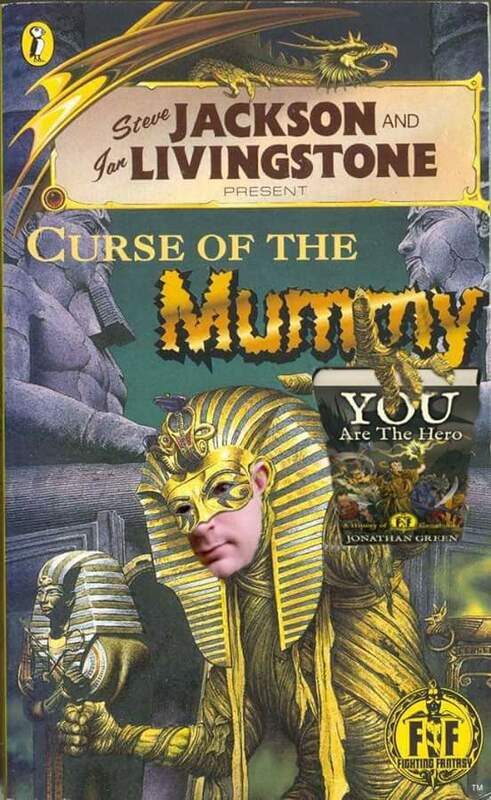 Fighting Fantasy would bring out their final game book in the original series run, Curse Of The Mummy by Jonathan Green. The end of an era, this series had carried me through my adolescent years and into adulthood. I was now 19. Queen had amazingly put together a brand new album, Made In Heaven. Containing several tracks that had to be finished after the passing of their front man Freddie Mercury. It was a huge hit, with Heaven For Everyone reaching number two in the UK, held off by the ultimately over played Gangsters Paradise at number one. This year was traumatic and reaped little reward, but all in vast quantities that it will be so memorable.